New Dessert Parlour opens with Cadbury Cream eggs Flavoured milk shakes. Norwich Theatre Royal is one of East Anglia’s premiere venues seating just over 1300 people and featuring a wide range of shows and performances. Freehold of Ten Bells Pub to be sold. The brewery Greene King have assured us that the Pub will remain and finding new Tenants to run it. Time to visit the beautiful open spaces around Norwich which are boasting Spring Flowers in Abundance. Find out What's On In Norwich, Restaurants, Shopping, Sightseeing, Sports, Events, Nightclubs, Places to stay, Hotels in Norwich, with our comprehensive website. 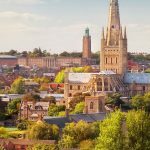 Whether you live in Norwich, are visiting or looking to move here, you will be able to find places to stay, the best places to eat and drink, properties to buy or rent, local news & events, activities for the whole family, unique places to shop, beautiful scenic locations, historic landmarks, city centre entertainment, attractions and more! Norwich is a beautiful city of stunning architecture, history and culture. The city has the largest permanent undercover market in Europe, many museums and theatres, ancient pubs, cobbled streets such as Elm Hill, Timber Hill and Tombland, ancient buildings such as St Andrew's Hall, half-timbered houses.. Treat yourself to the ultimate in luxury accommodation in Norwich. The hotels offer an ideal blend of rustic charm and modern convenience, providing guests with an exceptional experience for their Norwich visit. Norfolk is a great place to enjoy outdoor activities and sports. There's plenty of things to do in the Norfolk Broads; boating and sailing, canoeing and kayaking, whether on the Norfolk Broads or at sea; great opportunities to fish, or just go crabbing or rockpooling. 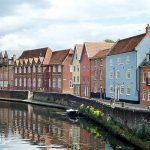 Whether you’re looking for things to do in Norwich such as events and attractions or are planning where to stay in Norwich, you’ll find everything you need for your Norwich holiday on Whats On In Norwich.com. Make sure to discover Norwich’s diverse neighbourhoods, from tranquil suburbs to central areas full of shopping, entertainment and dining options. Norwich have a huge range of options for food and drink. The plethora of excellent local produce on your doorstep lends itself to an array of great places to eat. This is complemented by a healthy quantity of homegrown culinary talent in the form of some very inspiring Norwich-based Chefs. It's Norfolk's diverse geography that gives it such a wonderful array of food and drink ingredients: the grazing pasture of the Broads, rich, fertile soil of the Fens, free-draining sandy soil of the Brecks. Our meat is placed on skewers and grilled on an open flame charcoal rotisserie for perfect flavour in the style of traditional cooking in Brazil. Benedicts on St Benedicts Street is a stylish and understated restaurant that serves modern British cuisine. An innovative food menu made using the freshest ingredients, a beer and cider range from around the world and cocktails made by experts..
Norwich lies on two rivers – the Yare and Wensum – and these have had a significant influence on the city’s development. Norwich boasts museums, galleries, festivals, performances, music events, entertainment venues and exhibitions alongside historic heritage buildings such as the Maddermarket Theatre, Strangers’ Hall, Norwich Castle and cathedral. Full of stunning historical architecture, Norwich has Norman Cathedral and a 12th Century Castle, as well as an open-air market, quirky independent shops, restaurants, cinemas, galleries, theatres, cafés, bars, pubs and clubs. 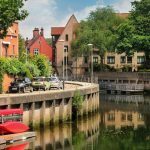 Norwich has an extensive range of things to do with a selection of places to eat and drink, adventures and activities, plan your stay and visit to Norwich. MSA British Cadet Championship and the FKS Championship for Mini Max and Junior Max.